LIMS-plus v5x Crystal Report Connections – Welcome to JusticeTrax Customer Care! When creating a report template to run in LIMS-plus v5.x using Crystal Reports, it's important you use the correct database connection driver and authentication method. 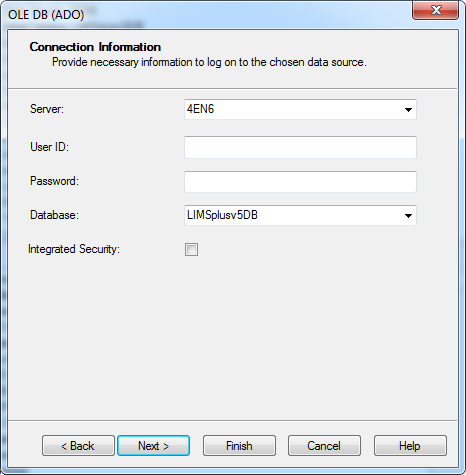 If you receive a Database Logon Failed error when running a report in LIMS-plus v5x, the database connection is likely incorrect. This lesson will show you how to change the connection information. 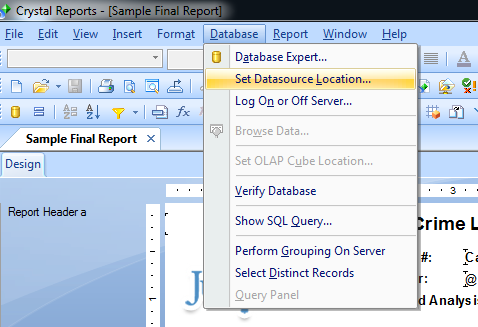 Open the report template in Crystal Reports. You can access the report from within LIMS-plus v5 using the Admin>Report Template menu option or open a copy outside of LIMS-plus. You'll be uploading the corrected copy into LIMS-plus to replace the incorrect one. 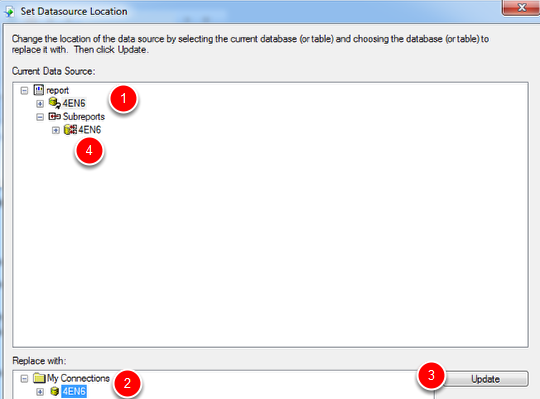 Once the report template is open in Crystal Reports, click Database then Set Datasource Location. 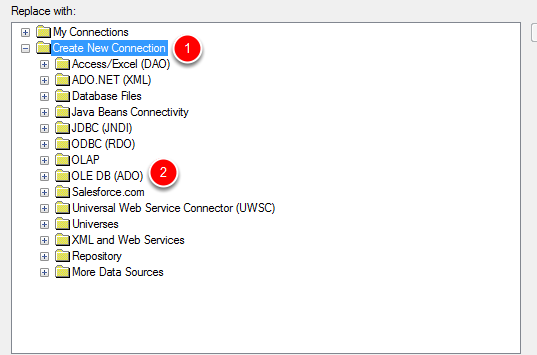 In the lower portion of the Set Datasource Location window, you have the option of creating a new connection to replace the existing connection. 1. Expand the Create New Connection node. 2. Expand the OLE DB (ADO) node which will open the new connection window. 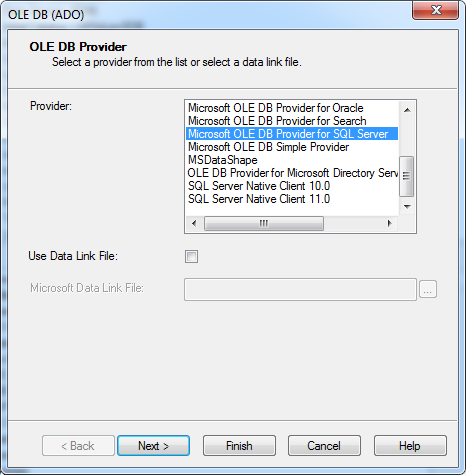 In the OLE DB Provider list, select Microsoft OLE DB Provider for SQL Server and click Next. Select your database Server and Database from their lists. Make sure that the Integrated Security check box is unchecked. You may need to check the integrated security check box to be able to select your database. Once you select the database, you can un check the check box again. Now that you have a connection created to your database using the correct driver and authentication method, simply repoint the report's existing connection to the new connection. 2. Click the new connection you just created in the Replace with section. 4. Repeat this process for any sub reports. In LIMS-plus, open Admin and click Report Template. Edit the report record you want to update. Click the Attachments button, delete the old report file and upload the newly corrected report template.